Buhari congratulates Adesina for winning World Food Prize Laureate – Royal Times of Nigeria. President Muhammadu Buhari on Thursday congratulated former Minister of Agriculture, Dr Akinwumi Adesina, for winning the 2017 World Food Prize Laureate. 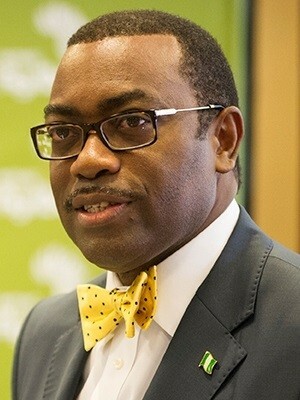 Adesina, who is the President of the African Development Bank (AfDB), will today (Thursday) be presented the $250,000 prize and Laureate sculpture at a ceremony at the Iowa State Capitol, United States. In a statement by the Special Adviser to the President on Media and Publicity, Femi Adesina, Buhari said Nigeria is proud of Adesina. He was quoted as saying, “Certainly, this did not come to me and many Nigerians as a surprise, given your antecedents and contributions to the development of agriculture across the African continent. We are very proud of you. “According to the World Food Prize Foundation, you won the prize for driving change in African agriculture for over 25 years and improving food security for millions across the continent. “Your choice as the winner of the World Food Prize is a clear recognition and appreciation of your long-standing contributions, reflected in your several roles and activities which promote social economic development. “By dint of hard work, persistence, diligent efforts, and God’s sufficient grace, you have risen above many limitations to emerge as a notable figure and a true champion. Your life story mirrors the resilience of the African spirit and doggedness for which Nigerians are well known. “On behalf of the government and people of Nigeria, I congratulate you and rejoice with you, your family and the AfDB family on this well-deserved honour.